Not into yoga? That's okay! 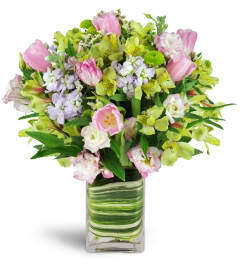 Our stunning, soothing array of blooms will instantly elevate anyone's week - no meditation required! Cool lavender and refreshing green hues are a great way to send your best wishes and love for any occasion. 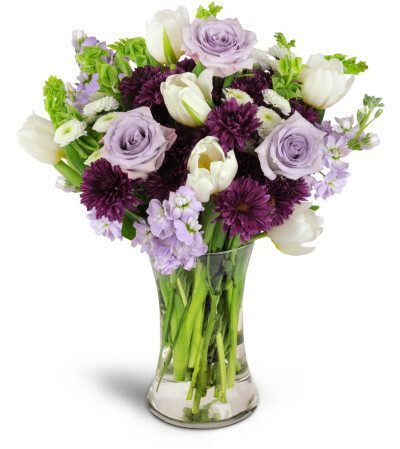 Lavender roses, white tulips, Bells of Ireland, and more are arranged in a svelte clear glass vase, ready to enjoy! 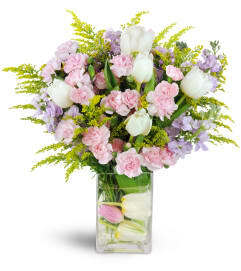 Please note that Standard arrangement does not include roses.